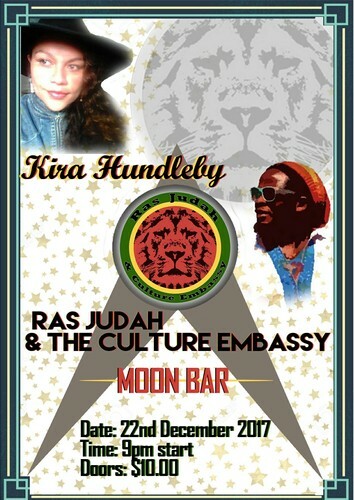 The sun is shining and like the summer Kira Hundleby will be warming up this lovely pre-Christmas evening with some soulful folk/world roots for her first official solo set at Moon Bar since moving to this gorgeous capital. More Fire will be sizzling as Ras Judah and the Culture Embassy kick it up a few beats and drop in some tasty ridims with some Afro Jazz, World/Folk Roots to finish off the evening and you will not stop dancing! We guarantee it! Come along to our party! You won't regret it!